National University Hospital (NUH), a member of the National University Health System in Singapore, has installed EOS imaging’s EOS 2D/3D orthopaedic imaging system. The EOS system captures whole body images of a standing patient in a single scan, without any stitching or vertical distortion, in addition to providing frontal and lateral digital images. Hee Kit Wong, NUH University Orthopaedics Hand and Reconstructive Microsurgery Cluster chair and the University Spine Centre head Professor, said: "We are very pleased to be able to allow our patients to benefit from EOS technology, both within the framework of routine clinical screenings and as part of the substantial clinical research work we carry out in our establishment." EOS technology is expected to provide good size images, in a 1:1 scale, for monitoring of pathologies. EOS offers radiologists, orthopaedic surgeons and rheumatologists new perspectives for the diagnosis, surgical planning and follow-up of spine, hip and knee diseases, according to EOS imaging. Marie Meynadier, EOS imaging CEO, said the installation of EOS equipment at NUH validates the appeal of the company’s technology for medical centres. "We will build on the success of this first installation in such a prestigious and well-known institution to deploy our technology throughout south-east Asia, a geographical region with substantial potential," Meynadier added. 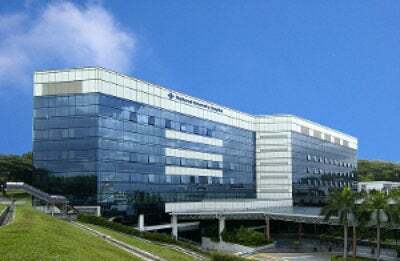 Image: EOS 2D/3D orthopedic imaging system is now available in Singapore’s NUH. Photo courtesy of: sunshine2010.